BAA has had a bumpy ride in the past few years. Now things have calmed down, the firm's comms chief tells Kate Magee about his plans. According to BAA's new comms director, resilience is the key attribute his job demands. It is hardly surprising. Since its takeover by Ferrovial in 2006, the airport operator has certainly not had it easy. In the past year alone it has been forced to sell Gatwick Airport, endured the volcanic ash cloud grounding planes all over the country, suffered BA cabin crew strikes and lost the battle to build a third runway at Heathrow. But Robertson, 37, is feeling positive. He fired the starter pistol on a £400,000 corporate and public affairs pitch last month, and says he wants to adopt a more proactive comms strategy to improve the public's perception of London Heathrow. 'Two years ago we were in continuous crisis mode. We operated a just-in-time comms service,' he says. In the past 18 months the team has kept a low profile, speaking to industry journalists behind the scenes. But now BAA is ready to start talking. The new comms strategy will focus on promoting an improved service to customers. Social media will be one channel of communication. Using quirky ideas remains another; BAA and retained consumer agency Mischief PR won a PRWeek Award for installing philosopher Alain de Botton in the airport for a week to write a book about his experience. Robertson has asked Mischief to come up with an idea each month. The strategy is also about getting Heathrow the right exposure. So Robertson was careful during the ash cloud crisis to make sure the airport 'did not become the backdrop of another aviation crisis'. But in the past few weeks he has welcomed promotions by both The Apprentice and T-Mobile, with an advert that saw customers being serenaded at the Arrivals area. Robertson does not possess the bubbly outgoing personality that is typical of a consumer PRO. Instead he appears a serious and no-nonsense character with a dry sense of humour. He is at pains to point out that you should never 'let the marketing get ahead of the reality'. Robertson's first exposure to PR was at United Distilleries. He watched the director of corporate affairs Colin Liddell restore the organisation's reputation following a difficult takeover. 'I studied what was happening from my lowly seat in HR where I was bored,' he says matter-of-factly. 'Everyone wanted to be there and I had no experience.' 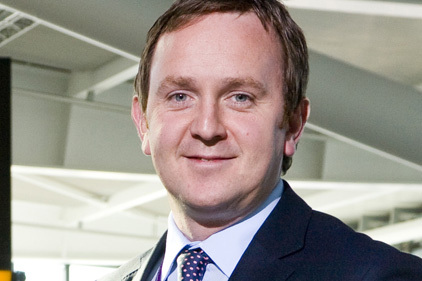 Instead he approached Beattie Communications' founder Geoff Beattie and persuaded him to give him a one-year contract, which turned into three. He also took the first media call that alerted him to the bombing of Glasgow Airport in 2007. Five hours later he had received more than 275 calls. But he says that without wishing to sound blase, handling the response was 'quite straightforward'. Robertson's next task is to wade through the 34 expressions of interest he has received for the major pitch. Throughout the interview, he has these documents by his side. Robertson will not be swayed to offer PRWeek a glimpse. He is just as unlikely to be distracted from his attempt to improve the perception of BAA. As an untested would-be PR man, I persuaded Gordon Beattie to give me a one-year contract at Beattie Media. That kicked off an apprenticeship that would prove difficult to beat, and I learned many lessons that I enjoy passing on to this day. My boss at BAA Scotland was Stephen Baxter, who became BAA's chief operating officer. He is the best manager of people and the best motivator that I have ever worked with, and remains a great friend and mentor. Don't try to change the world, be patient and learn to see yourself as other people see you. This business is all about winning arguments and persuading people to believe you - that requires quite a deep understanding of how you relate to people.